Double Chocolate Granola Bars. These bars only contain 7 simple ingredients! There is also ZERO cooking required to make them! You can literally whip them up in minutes! 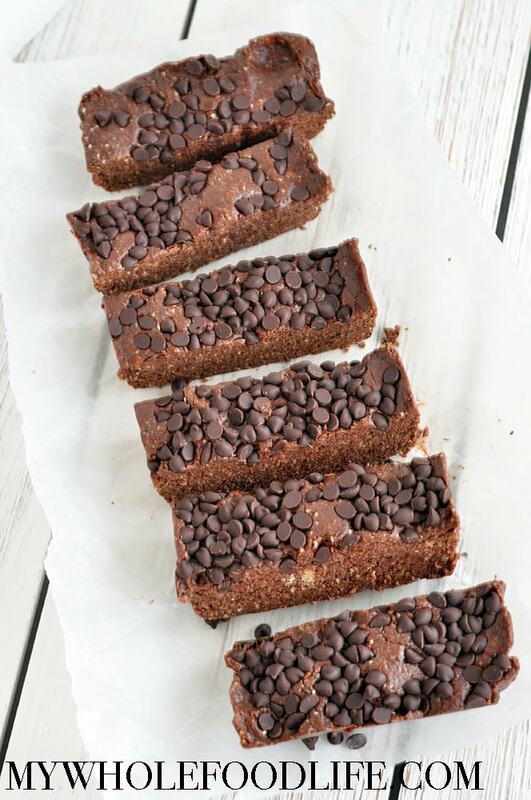 These healthy bars are the perfect way to satisfy your chocolate craving. They are vegan and gluten free too. You can even make them nut free if you use sunflower butter instead of cashew butter. Any nut butter works. 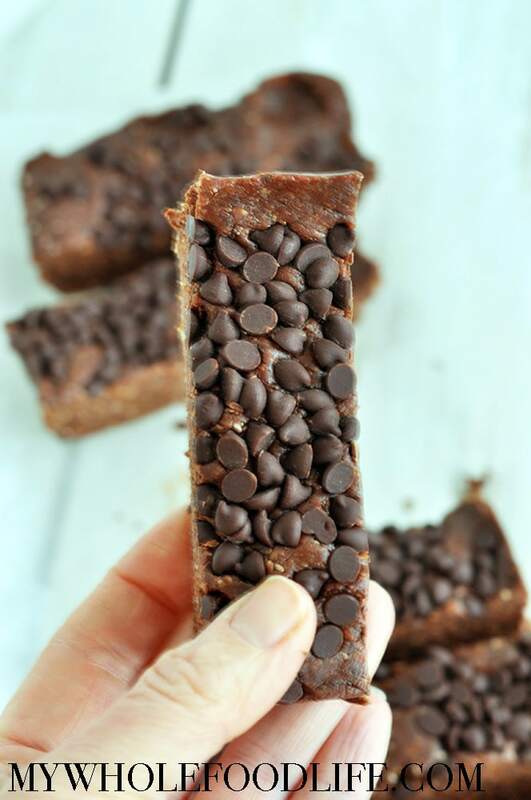 Looking for more snack bar recipes? All you need is 7 simple ingredients to whip up these Double Chocolate Granola Bars. Vegan, gluten free and no cooking is required! In a food processor, add the oats and cacao powder. Blend into a fine consistency. Then add in the remaining ingredients, minus the chocolate chips. If the batter seems a bit dry, you can add a little water until the mixture comes together. Once the batter is mixed, transfer to a lined baking dish. Press the batter down firmly. Sprinkle with chocolate chips. Press the chips into the bars. Place in the fridge to chill for about 30 minutes. Once chilled, cut into bars and store in an airtight container. These bars should last a couple weeks in the fridge. You can also freeze them up to 6 months. Enjoy! I'm so glad you liked the flavor. Sorry it didn't come out like the video. :( You can definitely add more oats if you would like them stiffer.